As promised we’ve unveiled the add-ons for Sentinels of Earth-Prime today! The info is on the Kickstarter page but I’ll repeat it here for the sake of convenience. We’ve got four additional decks for Sentinels of Earth-Prime: two heroes, one villain, and one environment. You can get them by simply increasing your pledge. They are $6 per deck or you can get all four decks for only $20! So if you wanted two decks, you’d increase your pledge by $12. If you want want all four, increase it by $20. You’ll be able to pick the decks you want after the campaign via BackerKit. Let’s take a look at each of the add-on decks! These decks have a decidedly mystical spin and will add a lot to the core game. Consider adding them to your pledge today! https://i2.wp.com/mutantsandmasterminds.com/wp-content/uploads/2017/05/sentinels-of-earth-prime-add-on-decks-square.jpg?fit=639%2C639&ssl=1 639 639 Evan Sass //greenronin.com/wp-content/uploads/sites/3/2014/08/MnM-logo-wordpress.png Evan Sass2017-05-05 14:25:382017-05-05 14:25:38Add-On Decks for Sentinels of Earth-Prime! We have a new Mutants & Masterminds PDF for you today. Presenting … the Star Raiders! In a galaxy in upheaval, heroes are found in unlikely places. That’s certainly the case for the crew of the Marauder, who have become known—and wanted—in the Stellar Imperium and the Grue Unity for their involvement in recent events. Some within the Republic Alliance call the Star Raiders heroes; others dismiss them as pirates, mercenaries, or renegades. In truth, they are all of those things and more. Designed to mesh nicely with our Cosmic Handbook sourcebook, the Star Raiders are a band of ready-made rogues and swashbucklers ready to ply the spaceways as rivals in your cosmic adventures, or as a ready-made band of intergalactic heroes! The Star Raiders PDF can be yours for just $4.95, or, if you place an order for Cosmic Handbook in print or PDF format, we’ll throw in the Star Raiders PDF for free! In case you missed it on social media, our Sentinels of Earth-Prime cooperative card game Kickstarter campaign is funded and has vanquished several stretch goals with the able assistance of its many stalwart backers! We are closing in on another stretch goal, and would love your assistance as a backer and promoter. Back it today, and save the world! Sentinels of Earth-Prime is set in the world of Mutants & Masterminds. Fully compatible with the popular Sentinels of the Multiverse game, and made in conjunction with our friends at Greater Than Games, Sentinels of Earth-Prime is a cooperative card game that lets you have exciting comic book adventures with your friends! The worlds we create certainly can take on a life of their own. That has been my experience with Freedom City, the central starting point for the Earth-Prime setting for Mutants & Masterminds, now the focus of two major forthcoming projects that reflect the history of the setting and its future. 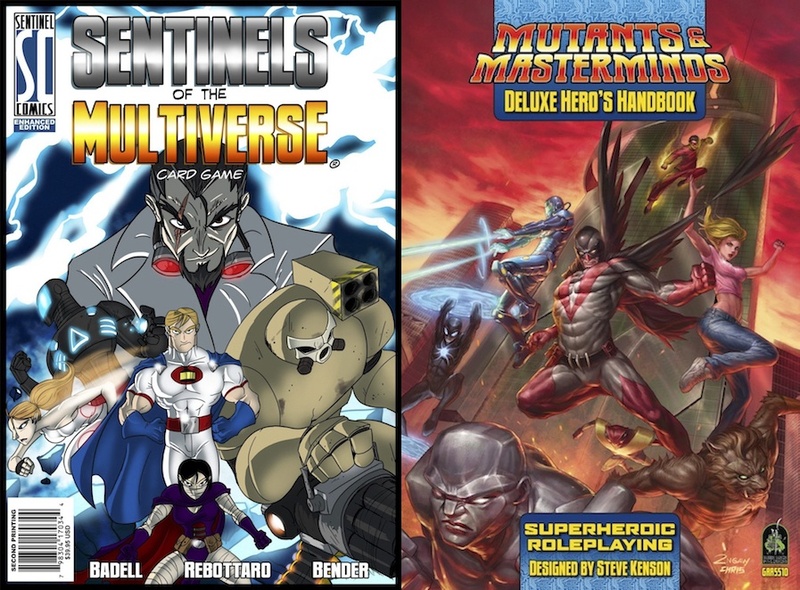 Over on Kickstarter, the Sentinels of Earth-Prime card game takes the hugely popular Sentinels of the Multiverse and brings its game mechanics and design to Freedom City, focusing on the “classic” era of the second edition of the Freedom City sourcebook from 2005, and the Freedom League of that time, along with some of their most fiendish foes, like Omega, Argo, Hades, and the Meta-Mind of the alien Grue Unity. For those who’d prefer not to wait, of course, you can find out plenty about the larger context of the Earth-Prime setting in the Atlas of Earth-Prime, Emerald City, Hero High, and Cosmic Handbook sourcebooks, available in print and PDF from the Green Ronin online store. Speaking of which…. Freedom City is also getting some much-needed attention from the roleplaying side of things in the forthcoming third edition of the Freedom City setting sourcebook, which rounds out all of those previously mentioned setting books to provide a complete look at Earth-Prime. More than ten years after the events in the previous edition of Freedom City that is the focus for Sentinels of Earth-Prime, the Freedom League and other elements of the world have seen some changes: Older heroes have retired, passing on their mantles to a new generation, and new heroes have appeared, often with ties to past events. Captain Thunder and Lady Liberty have both lost their powers and left the Freedom League, but the Light of Liberty has chosen a successor, and Captain Thunder’s son, Ray, Jr., has graduated from the Next-Gen and the Claremont Academy to take his father’s place in the League, although not in quite the form anyone expected. Likewise, the Raven has followed in her father’s footsteps to pass her dark cloak and experience on to a young hero operating out of New York City (as detailed in Atlas of Earth-Prime) to take up a career in politics. Meanwhile, the previous “rookie” heroes of the League like Bowman, Johnny Rocket, and Star Knight are now seasoned veterans, helping out the “new kids” like Thunderbolt, Lady Liberty, and Centuria, the daughter of the legendary hero Centurion from an alternate Earth destroyed by Omega. The ageless and immortal members of the team, like Daedalus, Dr. Metropolis, and Siren, remain largely unchanged, although Daedalus’ involvement in aiding alien refugees from the shattered Lor Republic has led some earthly authorities to question his loyalties. And that’s just within the ranks of the Freedom League! The new edition of Freedom City also looks at various other heroes of the setting, like the Atom Family, along with the ranks of some of Earth-Prime’s most infamous villains, nearly a hundred characters in all. This is combined with new and updated art and additional views of Freedom City like those seen here. Seattle, WA (04/12/17): Green Ronin Publishing, best known as a publisher of award-winning tabletop roleplaying products such as Mutants & Masterminds and the Freeport fantasy setting, is pleased to announce the launch of a new fiction initiative in 2017. Leading this effort as Fiction Line Managing Editor will be Jaym Gates, author and editor, whose guiding hand has recently been evident on projects such as the Strange California anthology and Eclipse Phase: After the Fall, among many others. Green Ronin aims to include novels, anthologies, and both stand-alone and serialized short fiction in their releases, tied to the rich and varied worlds of their many tabletop roleplaying properties. Early releases will include fiction set in the romantic fantasy world of Aldea from the Blue Rose Roleplaying Game and tales of superheroic adventures set in the world of Earth-Prime from Mutants & Masterminds. As part of this fiction launch, Green Ronin has come to an agreement with author and editor C.A. Suleiman to publish and distribute his previously existing fiction anthology Tales of the Lost Citadel in electronic and deluxe print formats. Tales of the Lost Citadel will be the first release for the new fiction imprint. Green Ronin Publishing is a Seattle-based company dedicated to the art of great games. Since the year 2000 Green Ronin has established a reputation for quality and innovation that is second to none, publishing such roleplaying game hits as Dragon Age, A Song of Ice and Fire Roleplaying, and Mutants & Masterminds, and winning over 40 awards for excellence. For an unprecedented three years running, Green Ronin won the prestigious GenCon & ENWorld Award for Best Publisher. 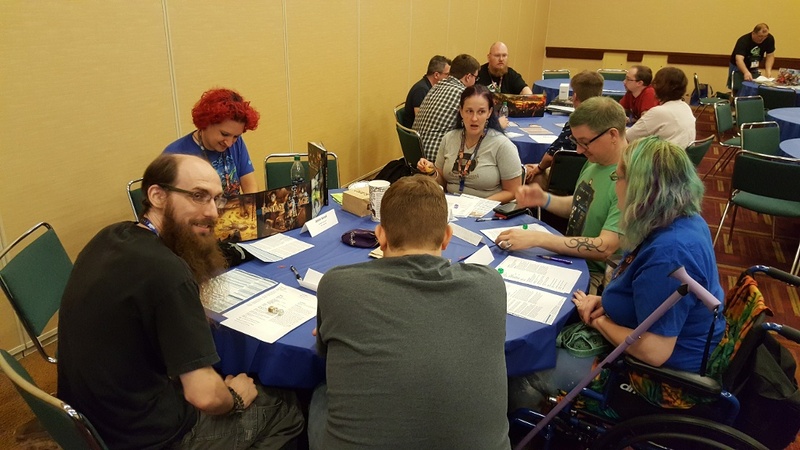 Jaym Gates is an editor, author, and communications manager who has worked for companies including The Science Fiction and Fantasy Writers of America, Paizo Publishing, and Amazon. Her anthologies include War Stories, Genius Loci, Rigor Amortis, Eclipse Phase: After the Fall, Vampire the Masquerade: Endless Ages, and Strange California. She has also written setting and/or fiction for Blue Rose, Firefly: Smuggler’s Guide to the Rim, Shadowrun: Drawing Destiny, and Tianxia: Blood, Silk, and Jade, and was an initial developer on the Lost Citadel property. 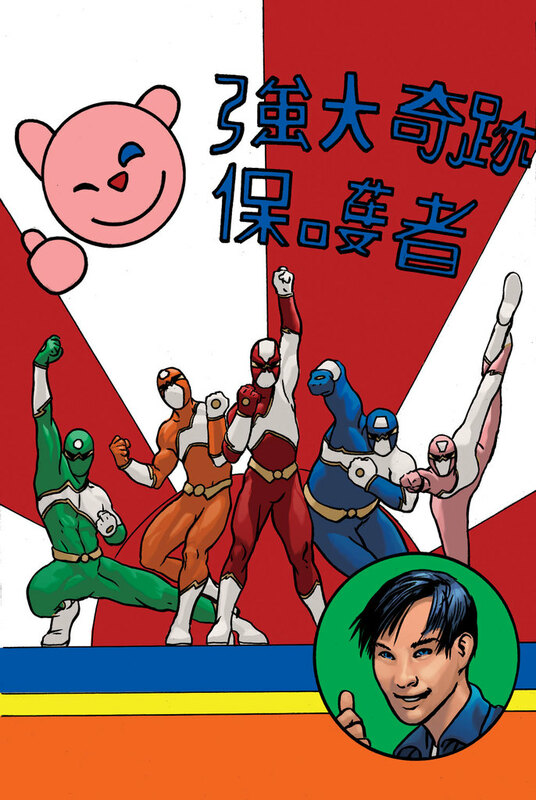 In her copious spare time, Jaym trains horses, plays boardgames, and studies a martial art called Systema. You can find out more about her on Twitter as @JaymGates, or at jaymgates.com. Mutants & Masterminds is Green Ronin’s longest running RPG, first debuting in 2002 and receiving continual support ever since. 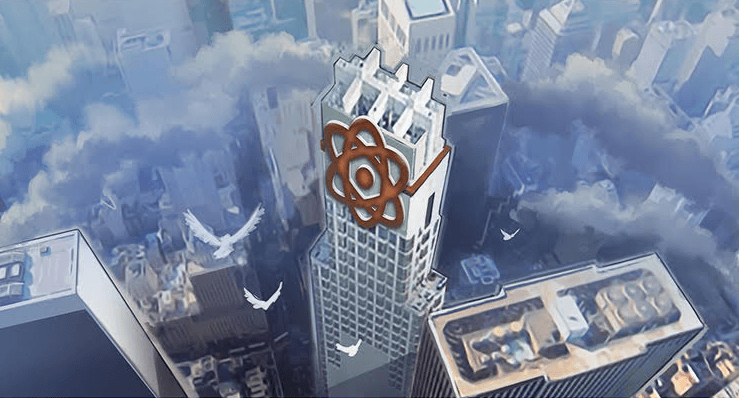 The game’s very first supplement, Freedom City, introduced a world that we’ve continued to expand upon over the years in ways big and small. This culminated in January with the release of the Atlas of Earth-Prime, a full world book for the setting. It was a fitting way to celebrate Mutants & Mastermind’s 15 year anniversary but there’s more to come. The Third Edition of the Freedom City sourcebook is coming out in June. And later this month we’re launching a Kickstarter for the first ever Mutants & Masterminds card game, Sentinels of Earth-Prime! I’ve long wanted to bring some of our RPG properties to the world of card and board games and Sentinels of Earth-Prime is our chance to do just that. It’s happening because a few years ago I started playing a lot of Sentinels of the Multiverse from Greater Than Games. I got to know its designer, Christopher Badell, on the JoCo Cruise and it turned out he was a long time Mutants & Masterminds fan. Comics, of course, are no strangers to crossovers and team ups, so it didn’t take long for us to start talking about doing a project together. The result will take Christopher’s excellent Sentinels of the Multiverse rules and our Mutants & Masterminds setting and combine them together into a powerhouse new game, Sentinels of Earth-Prime! As you may have read in our press release a few weeks ago, this will be a joint venture between Green Ronin and Greater Than Games. Sentinels of Earth-Prime will have the same basic format as Sentinels of the Multiverse. It will include decks for ten heroes, four villains, and four environments. Naturally, I brought in Steve Kenson (designer of Mutants & Masterminds and creator of Earth-Prime) to help with the setting and story side of things. I wanted to use the classic Freedom League as the game’s heroes, as they had deep roots in M&M and conveniently consisted of exactly ten characters. Steve then suggested we use events from previous RPG books as the basis for our story, in particular the many invasions that the heroes of Earth-Prime had fought against over the years. The core game will concentrate on events that took place from 2002-2006 on Earth-Prime. Then we’ll advance the timeline in expansions down the road, until the card game and the RPG are synched up. In this way Sentinels of Earth-Prime will both explore the setting and serve as a tour through its recent history. The Sentinels of Earth-Prime Kickstarter will go live the week of April 17. Follow us on Twitter (@GreenRoninPub) or Facebook to keep up with it and other Green Ronin news. We’re incredibly excited about this project and the chance to work with Greater Than Games. We’re starting a whole new chapter to the Mutants & Masterminds story. We hope you’ll be a part of it! https://i2.wp.com/mutantsandmasterminds.com/wp-content/uploads/2017/04/sentinels-earth-prime-press-release-1.jpg?fit=897%2C662&ssl=1 662 897 Evan Sass //greenronin.com/wp-content/uploads/sites/3/2014/08/MnM-logo-wordpress.png Evan Sass2017-04-03 08:27:182017-04-03 08:27:18Ronin Roundtable: Sentinels of Earth-Prime Card Game Coming to Kickstarter This Month! For 12-hours pf games submitted, we’ll arrange the GM badge. If you’re interested in signing up, click here to fill out this quick contact form. https://i1.wp.com/mutantsandmasterminds.com/wp-content/uploads/2017/01/2016-08-04-12.49.01.jpg?fit=1012%2C569&ssl=1 569 1012 Evan Sass //greenronin.com/wp-content/uploads/sites/3/2014/08/MnM-logo-wordpress.png Evan Sass2017-01-24 11:54:562017-01-24 11:54:56GM for Green Ronin at Gen Con!